SMART LS043 LED RUBBER SILICONE WRAP AROUND FRONT & REAR BIKE SCOOTER LIGHTS SET. 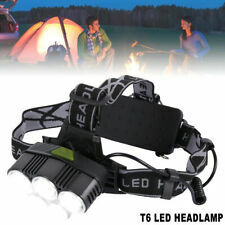 Super bright LED provides visibility up to 1 mile. Keychain hole. Last few of these fantastic versatile lights to clear at this crazy low price. CASCO maketheone Torcia TORCIA FARO MTB BICI ANTERIORE E POSTERIORE LUCE. Torch Bike Mount Red Silicone Rear Light = Cycle Front Torch. PREMIUM POCKET HANDHELD TORCH. 1 x Powerful MINI XML-T6 Torch. Switch: Press the Tail Button to Turn ON/OFF, Half Press the Tail Button to Change Mode. 3 LEDs to power a wide beam without compromising on brightness. Exposure Technologies SYNC, OMS, ITM, CFD, SPT , Fuel Gauge. Our aim is to provide the best possible service before and after sales. Water Resistance IPX6. Torch Bike Mount Red Silicone Rear Light = Cycle Front Torch. Mode: AC Power Input, Stabilize Charging Mode. PREMIUM POCKET HANDHELD TORCH. Material: Tough Anodized Aluminium Alloy. 1 x Powerful MINI XML-T6 Torch. 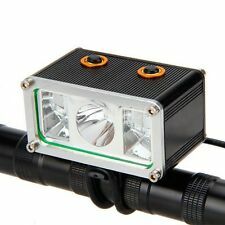 (1 x Aluminum Bicycle Safety Light. Two lighting modes: 1)Full brightness, 2)Flashing. Quick install and release strap design. Aluminum Body. >240° side light. Cash and Cheque is not accepted. 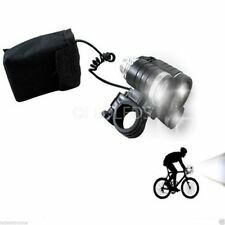 (1 x Aluminum Bicycle Safety Light. Two lighting modes: 1)Full brightness, 2)Flashing. Quick install and release strap design. Aluminum Body. >240° side light. Cash and Cheque is not accepted. 2 x CR2032 batteries. (1)New CREE XM-L T6 LED Adjustable Focus Torch. Once attached it certainly is rigid and secure. MINI BUT BRIGHT CREE XML T6 FRONT LIGHT KIT. Torch Bike Mount Red Silicone Rear Light = Cycle Front Torch. PREMIUM POCKET HANDHELD TORCH. Material: Tough Anodized Aluminium Alloy. Model of LED: CREE XML T6. Torch Bike Mount Red Silicone Rear Light = Cycle Front Torch. Mode: AC Power Input, Stabilize Charging Mode. PREMIUM POCKET HANDHELD TORCH. 1 x Powerful MINI XML-T6 Torch. Switch: Press the Tail Button to Turn ON/OFF, Half Press the Tail Button to Change Mode. Torch Bike Mount Red Silicone Rear Light = Cycle Front Torch. PREMIUM POCKET HANDHELD TORCH. 1 x Powerful MINI XML-T6 Torch. Color: Torch Tail light kit. Switch: Press the Tail Button to Turn ON/OFF, Half Press the Tail Button to Change Mode. MINI BUT BRIGHT CREE XML T6 FRONT LIGHT KIT Model of LED: CREE XML T6. Torch Bike Mount Red Silicone Rear Light = Cycle Front Torch. PREMIUM POCKET HANDHELD TORCH. 1 x Powerful MINI XML-T6 Torch.